Harriet M. Welsch has just received the best news of her eleventh year—Ole Golly is coming back! Harriet can still remember how sad she was when her beloved nanny married George Waldenstein and moved away. But the circumstances of Ole Golly’s return remain unclear. Where is George Waldenstein? With Mr. and Mrs. Welsch living in France for three months, Sport confiding that he has a crush on a girl at school, and the arrival of a mysterious new neighbor, who’s going to require a whole lot of spying, Harriet already has her hands full. Then she overhears Ole Golly saying she’s innocent—but innocent of what? 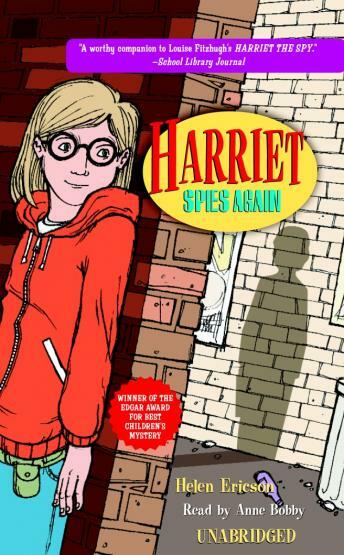 Harriet the Spy is on the case and ready to help Ole Golly in any way she can.